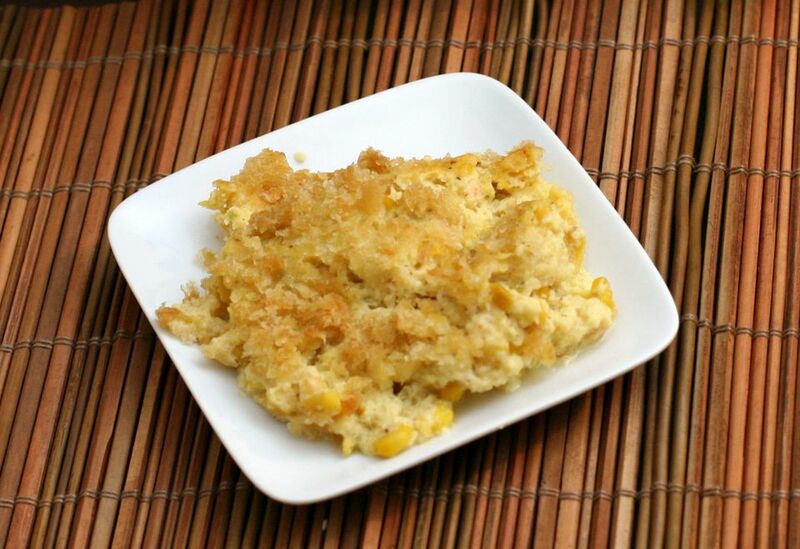 This is a tasty corn casserole to make for a holiday dinner or family meal. It's an easy-to-prepare recipe that is baked in the oven. Grease a 2 to 2 1/2-quart baking dish. Heat oven to 325 F.
Melt 4 tablespoons of butter in a large saucepan over medium-low heat. Add onions and cook, stirring, until onions are just tender, about 2 to 3 minutes. Stir in flour until well blended. Stir in salt, pepper, and milk and continue cooking, stirring, until thickened. Stir in cheese until melted. In a mixing bowl, beat eggs. Stir in cream-style and Mexican-style corn, mustard, and 1 cup of the breadcrumbs. Combine the cheese mixture with the corn mixture. Spoon into a prepared baking dish. Melt the remaining 1 tablespoon of butter and toss with remaining 1/2 cup of breadcrumbs. Sprinkle buttered crumbs over the corn casserole and bake for 1 hour to 1 hour and 10 minutes, or until firm in center.